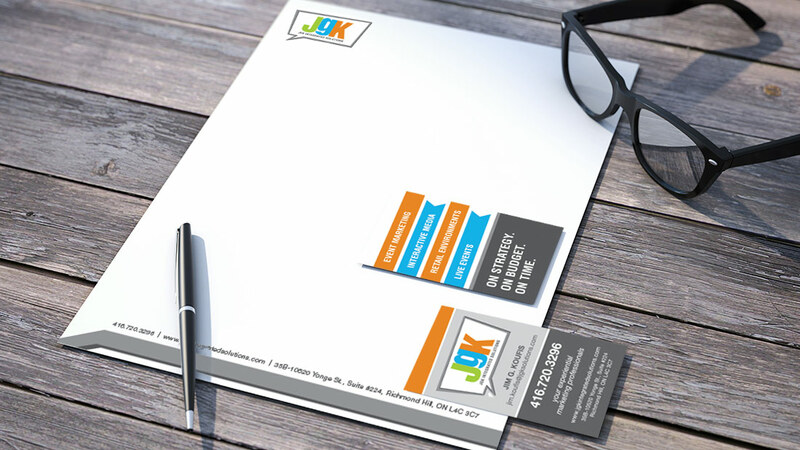 Jim had been using his logo for a number of years and felt it was time for a refresh of his current brand. During the refresh, bolder fonts were chosen and colours were brightened to give them a more current look. 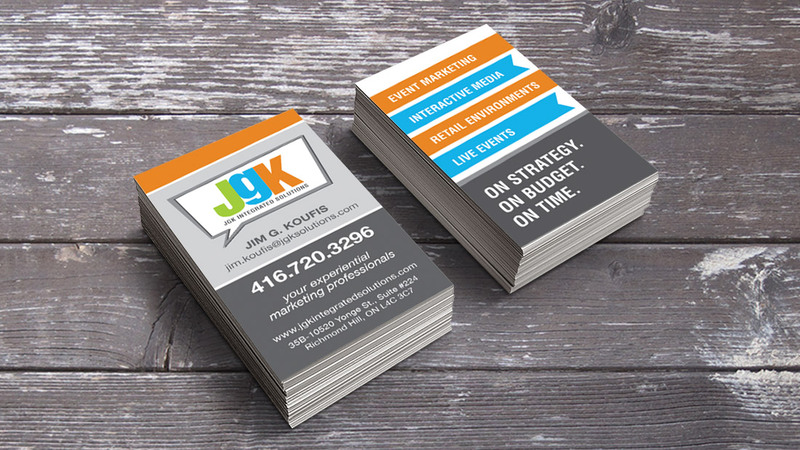 Keeping in line with the event marketing message, the bubble was added to emphasis how JGK can get your marketing message out to the world. This same feel was carried through their new business card design.